We are FREAKING OUT! Benefit Cosmetics is launching a super cute NEW Blush Bar Palette on Thursday, 3.08! 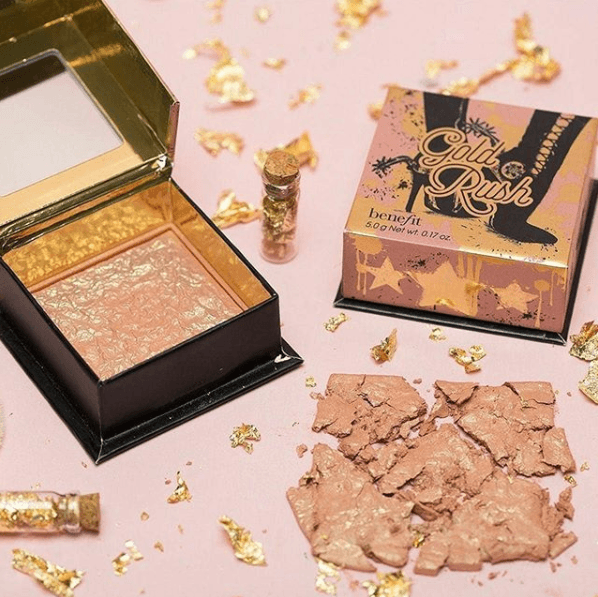 The LIMITED EDITION palette includes four blushes and a bronzer, 3 of which are previously released blushes, (Galifornia, Dandelion & Rockateur) and their Hoola Bronzer. Included in the palette is also a brand new blush called Gold Rush. This will be available exclusively at Sephora for $58 (but it’s a $145 value for all the pieces included)! The new blush will be available later in the week individually. 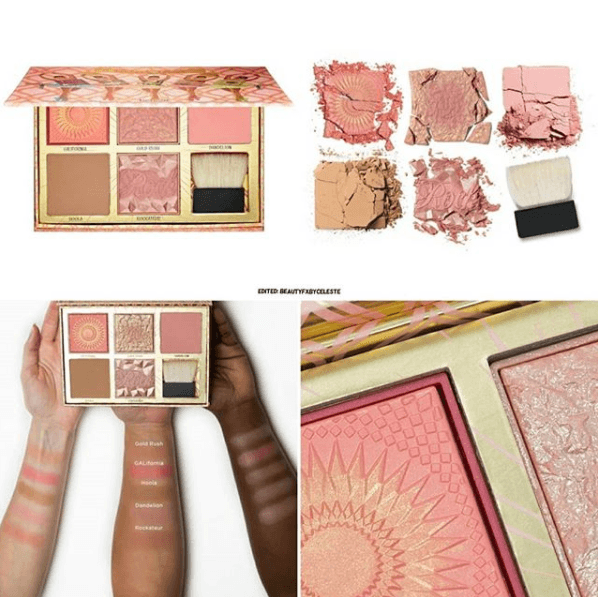 Benefit has released blush & bronzer palettes such as this one before but with different color combos (Cheek Parade and Cheekathon) but this one is taking things to another LEVEL! The new Gold Rush blush is STUNNING! I am all about blushes with shimmer and this cool tones pinky gold is so up my alley! This is the kind of blush that will go with literally any look, ever. The other products included in the palette are solid go-tos. Who doesn’t love Hoola?? Rockateur is also so so gorgeous! We are always kinda bummed when products are Sephora exclusive cause I’m personally a die-hard Ulta shopper, but this may be a must have. Do you think? ?